Science Fiction / Dystopia: "When Katherine Mortenhoe is told that she has about four weeks to live, she knows it's not just her life she's about to lose but her privacy as well." 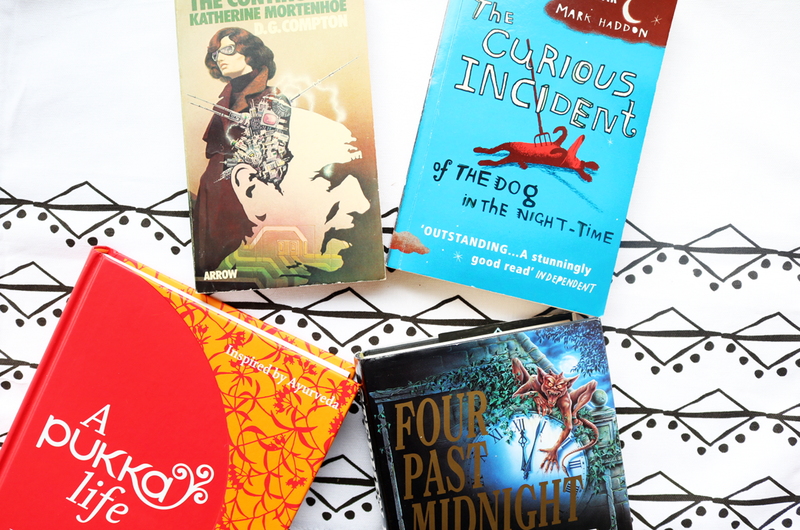 Having read a lot of contemporary science fiction, I wanted to explore more of the classics and books that were published in the 50s, 60s and 70s as so much of the modern sci-fi stuff is based on concepts and themes from decades ago. 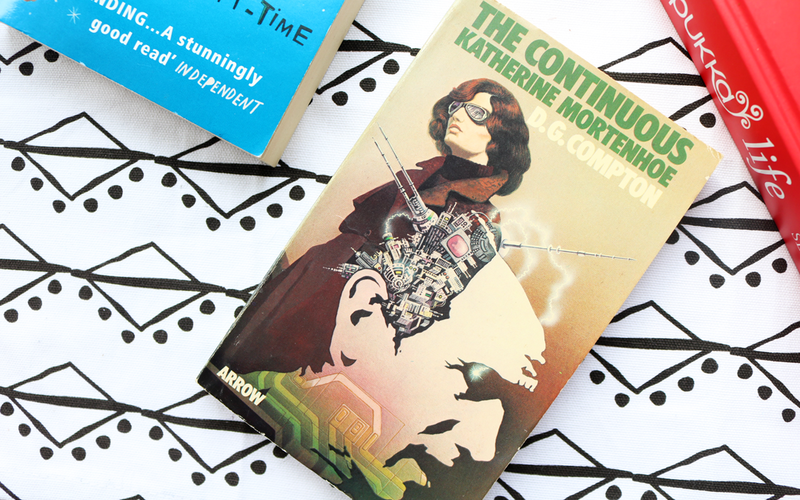 The Continous Katherine Mortenhoe is heralded as a 'forgotten classic' and was published in 1974. The story is set in a world where modern medicine has found cures for all common illnesses and diseases, and so people now live a healthy life and only die of natural causes related to old age or a freak accident. Yet, there's a tiny percentage of the population who cannot be cured because they have diseases or illnesses which are incredibly rare, and thus society has turned these people into celebrities as everyone else is utterly fascinated with those who can actually die much younger. These 'celebrities' are paraded on reality TV for audiences to gawk at as they watch them live out their last days live on screen before death finally comes knocking. Young Adult / Contemporary: "Christopher is fifteen and has Asperger's Syndrome. He knows a very great deal about maths and very little about human beings. He has never gone further than the end of the road on his own, but when he finds a neighbour's dog murdered he sets out on a terrifying journey which will turn his whole world upside down." Having more books on my shelves than I could possibly ever read in a lifetime, often means that I simply 'miss' a lot of the big bestsellers of the time, only to discover them years after everyone was talking about them. 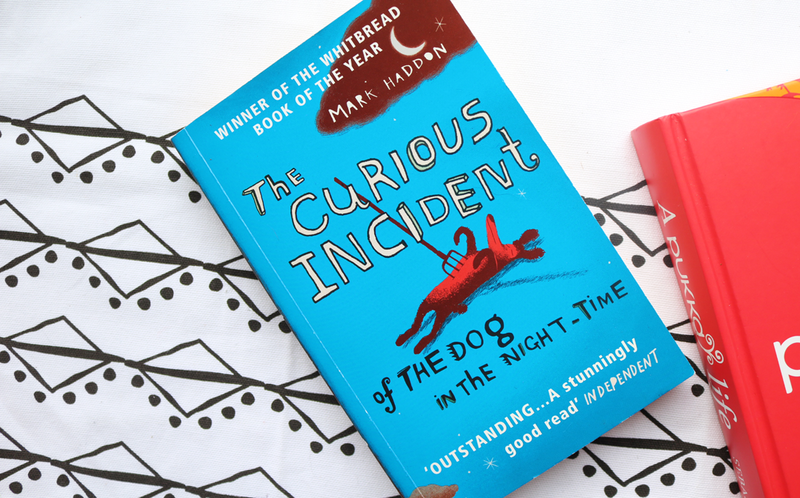 The Curious Incident of the Dog in the Night-Time is one such book that I remember from well over ten years ago, and I've only just gotten around to reading it this month. Better late than never eh? Short Stories / Horror: "You are strapped in an airline seat on a flight beyond hell. You are forced into a hunt for the most horrifying secret a small town ever hid. You are trapped in the demonic depths of a writer's worst nightmare. You are focusing in on a beast bent on shredding your sanity." One main problem that you can easily encounter with a short story is that sometimes they can completely hook you in, but then because of their briefness, they can end far too early and leave too many questions unanswered. 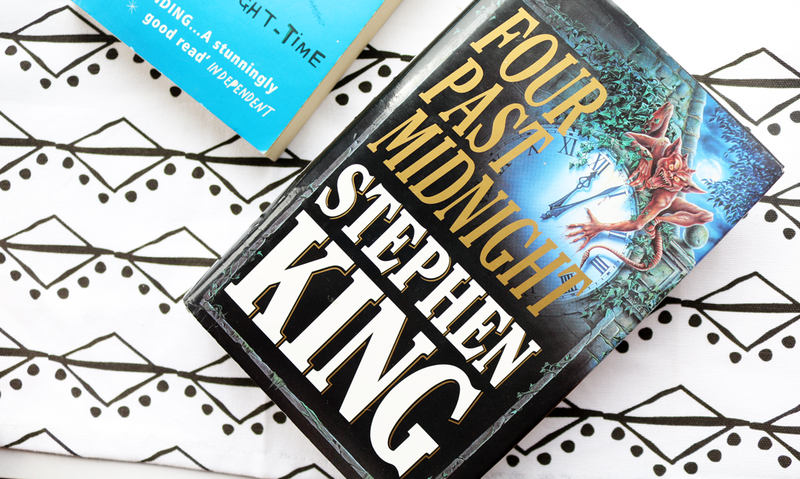 However, with Stephen King's Four Past Midnight, it contains four full-length novellas which you can really get your teeth stuck into. This collection begins with The Langoliers, a fast-paced horror nightmare which begins on a plane and lands in a strange, alien world with only a handful of your fellow passengers for company. It has a strong Twilight Zone vibe to it and is my favourite of the four as it shows King at his best. The second story, Secret Window, Secret Garden, was a hard one for me to get into and features an altercation between two writers as one accuses the other of stealing his story. It's a little slow and just didn't particularly grip me. The Library Policeman is the third story and strangely explores the world of the 'library police' who come after you if you haven't returned your books on time. It's a little silly, but builds up a good sense of suspense and is surprisingly very entertaining. Lastly, The Sun Dog completes the collection with a tale of an evil dog that appears to be hidden in an old polaroid camera and makes himself seen through the photos that it takes. It starts off so well, yet seems to get too disjointed half-way through and loses its momentum - it could have been so much more intriguing. Non-Fiction / Self-Help / Ayurveda: "'A Pukka Life' is about living in a truly authentic way, guided by the wisdom of Ayurveda. Also known as 'the science of life', Ayurveda is a complete system of knowledge that deals with physical health, mental balance, spiritual wellbeing, social welfare, relationships, environmental issues, dietary and lifestyle habits and more." For this month's non-fiction read, I decided to educate myself about Ayurveda, which is something that I've been meaning to read up on for a while. 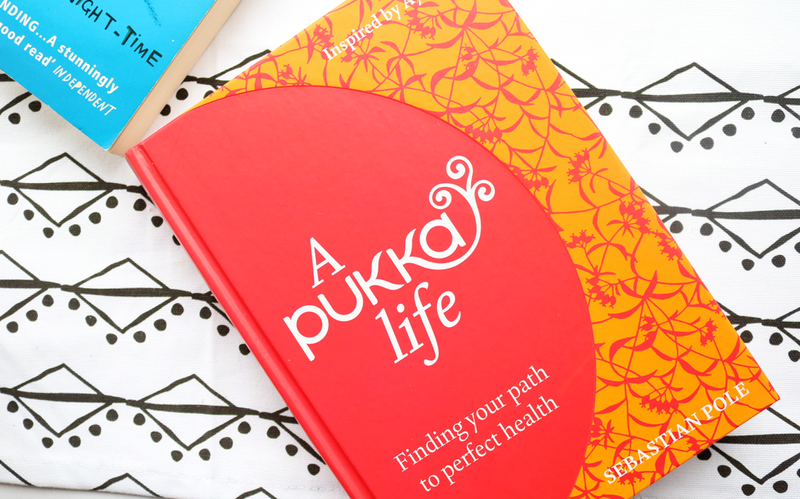 Written by Sebastian Pole (co-founder of Pukka Herbs - read my interview with the man himself here), A Pukka Life offers a beginner's guide to Ayurveda, based on its holistic principles of keeping everything in balance and living a kind, happy and considerate life. love the sound of a pukka life - have added to the wishlist!